I, of course, went to the other extreme: simplicity was not the aim in my dish. 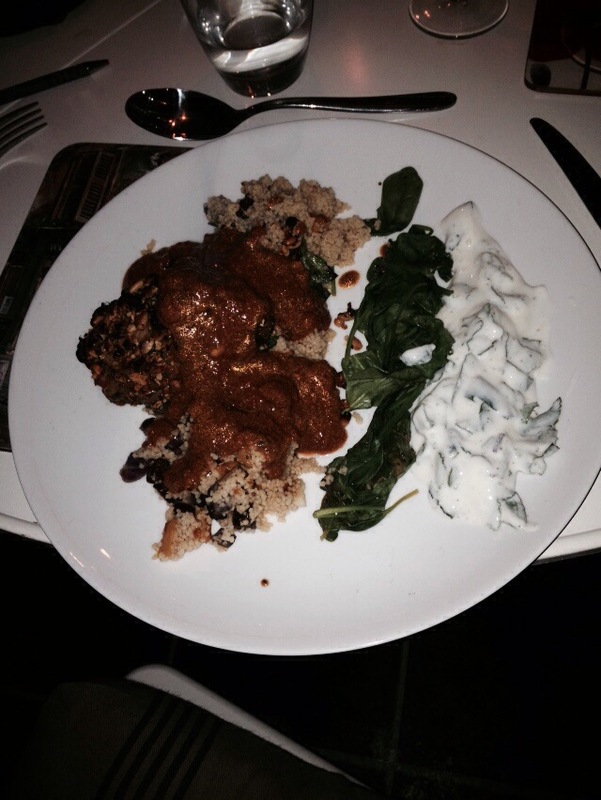 I made lamb neck fillets with a harissa pine nut crust, roasted veg and raisin-studded couscous, a thickened tagine-style sauce, sautéed spinach and a mint raita. 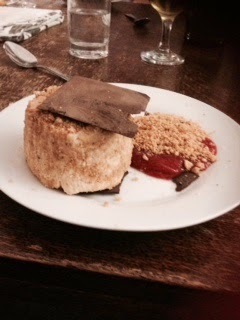 The highlight of the meal was inevitably the pizza, sorry, ‘pudding’. Unfortunately by this point the novelty of cooking had worn off, and we were all more interested in watching Christmas adverts on YouTube and listening to 100 year old recordings of castrati sounding incredibly bad. 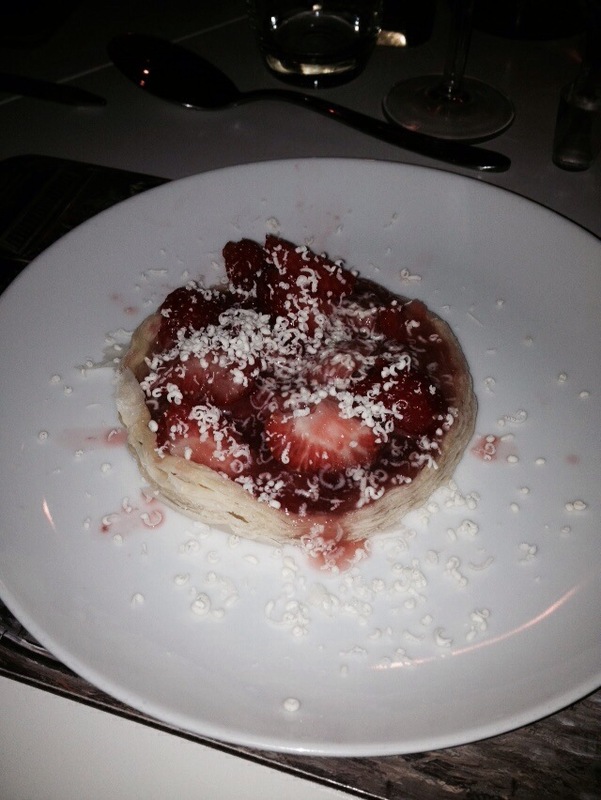 Mark Francis did his best though, and made beautiful looking (slightly pizza-esque) individual strawberry tarte tatins with grated white chocolate. These managed to be not too sweet and full of luscious strawberry flavour: like a fruit-filled strawberry ice cream. However he was too impatient to actually wait for the tarts to cook… As Mary Berry would say (and I know my housemates are fans) the tarts most definitely had rather soggy bottoms. Once again I have been possibly slightly unwittingly coerced by my friends to cook for them in what can only be described as basic cooking conditions. This time it was marginally easier, only 4 to cook for, no dietary restrictions and a more free day leading up to it. 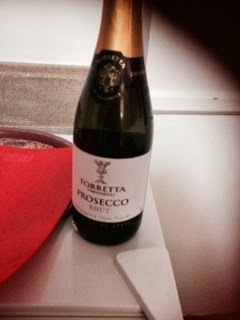 Plus I had further enticement as the three dinner guests agreed to match my menu with wines for each course. 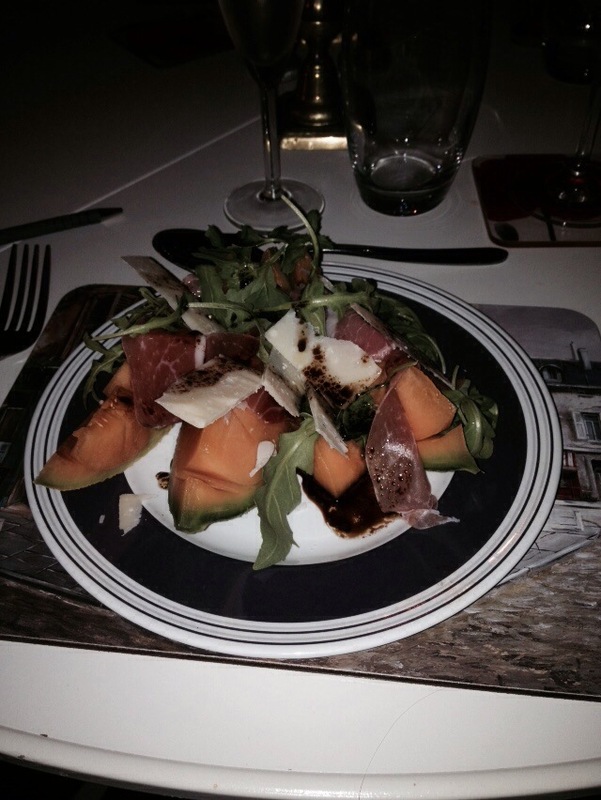 As per usual the menu was possibly a little obsessively planned – excel, timetable, price itemised shopping list….. If only I gave my degree this much attention. Unfortunately that day the time I had allotted to finishing my coursework so I felt slightly better about jet setting to the Isle of Man on choir tour ( yes we did fly and it was a very exciting tour) was spent trying in Vain to save my degree, I accidentally wiped my computer hard drive, hopefully this can be remedied – watch this space. Most people in this circumstance would most likely be in hysterics, alleviating anger by throwing heavy objects at the wall, or immediately degrading from their degree and moving to anguished exile in Siberia to escape the pain of the disappearance of half a years worth of coursework. I’m afraid I did none of these things. The excitement of cooking a dinner party made up if my favourite foods, with some of my favourite people and a copious amount of good wine somehow managed to inspire such a cloud of optimism – I am still living in the sphere of it and am still convinced this will be ok- my mother on the other hand is despairing, possibly mostly at my casual attitude…. Anyway back to dinner – if anything can distract me from a possible career ending mistake it would be confit chicken, truffle jus, peanut butter parfait…. But I’m getting ahead of myself. I wanted to challenge our taste buds by starting with a sweet course and ending with a savoury while still trying maintain some sort of style and complexity within my ‘having to reboot the oven every 15mins’ limitations. So we began with a Roasted tomato and caramelised onion Tarte Tatin with Ricotta quenelle. This is a surprisingly easy dish, particularly with the aid of Lakeland disposable foil pudding dishes – effectively the basis of this meal. Roast the tomatoes, cut in half and garlic still in its skin with a drizzle of olive oil, pinch of salt and thyme leaves for about 10-15mins at 180oC. Meanwhile chop the onions and then sweat over a medium heat in the butter with a good sprinkling of salt (add water if the onions look like they will burn). When translucent add the bay leaf, a splash of vinegar, pepper, drop of vanilla and half the sugar. When sticky and caramelised, set aside. Finally melt the remaining sugar with 2tbsp water till a golden amber colour . 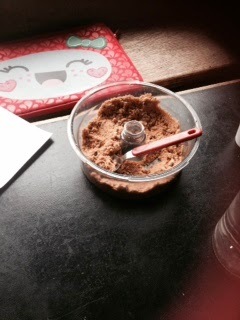 Place 1tsp caramel in the base of 4 foil pudding pots. Top with the tomatoes, flat side down and a garlic clove, squeezed out of its skin. Then add a spoonful of onions. Finally top with a disk of puff pastry. Bake in the oven for 15 min or until golden – turn over – make a quenelle with a spoon of ricotta and serve. The main used one of my favourite ingredients. I can’t stress enough how amazing a few drops of truffle oil is in most dishes! Some of the best examples include in mash potatoes, mushroom risotto, in butter for steak or even (if you’re feeling adventurous) white truffle and black pepper ice cream with strawberries. It is most definitely worth the £3.99 I paid for it – this bottle is going to last me for about a year, even the smell of it is pretty satisfying. Other than the truffle oil, all the ingredients in this main are pretty cheap which just goes to show that you don’t need to spend a lot to throw a great dinner party (this is one of the many tips I tend to shout at the TV screen when watching Come Dine with Me, along with why do you start cooking when your guests arrive???). I do agree that you can taste a great cut of organic meat, especially with steak where the better the quality the less you have to do to it, I barely cook mine, BUT I used sainsbury’s basics chicken leg pieces for this dish, at the grand total of 4 for £2.69, and it came out absolutely beautifully. So here it is Confit Chicken leg, buttered cabbage with nutmeg, butternut squash dauphinoise, toasted hazelnuts and truffle jus. Again relatively easy, just prep the hazelnuts, chicken, dauphinoise and chop the cabbage in advance and you can pretty much just leave it to cook while you can go and drink with your guests (take notes Come dine with me contestants). Rub the chicken with the salt, crushed garlic cloves, pepper and herbs, set aside for about an hour or so. Meanwhile toast the hazelnuts in a dry saucepan over a medium heat NB keep tossing to try and prevent burning, set aside. Chop the squash into slices and layer in a shallow dish, studding every couple of layers with garlic cloves, a good sprinkling of salt and some pepper and the herbs. Pour over the cream, you may need a bit of milk to bring the cream/milk to the same level as the top layer of the squash, alternatively you can top this up with cream, the dish will be more stodgy but richer and really delicious. 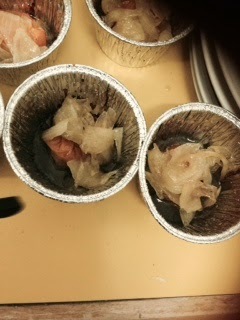 Chop the cabbage into strips (the best way to do this is cut out the centre and chop all the sides into strips). Place into a saucepan with the butter, water, nutmeg and pepper, set aside. Wash most of the salt off the chicken, reserving the herbs, half of the garlic and about 5-10g of the salt (this is approximate, the idea is you need a bit left). Place in a shallow dish and cover the chicken and herbs etc with the oils. Put the chicken in the oven at 150oC for about an hour and a half. Forty minutes before you want to eat put the squash in the oven, when ready the squash should be starting to brown on top. Meanwhile for the jus, chop the garlic and place in a small saucepan with the butter and sauté for 2-3mins. Pour over the lemon juice and add the herbs and 250ml water. 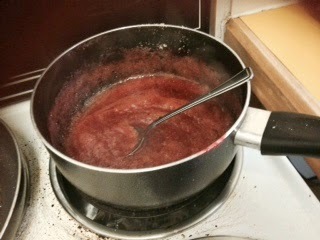 Add the stock cube and stir to dissolve over a medium heat. Reduce to about half then add the truffle oil. Remove from the heat. 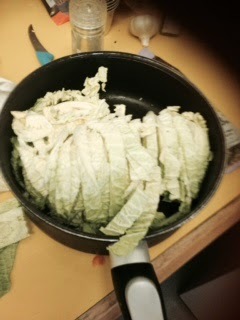 5mins before you want to eat, put the cabbage on the heat and cover, cook for 5mins and then remove from the heat. 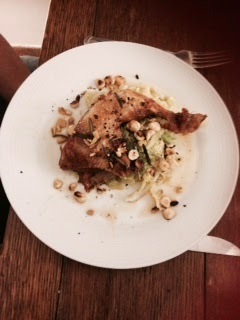 To serve, place a handful of cabbage in the middle of the plate, top with a chicken leg and sprinkle with hazelnuts, finally spoon over some jus. 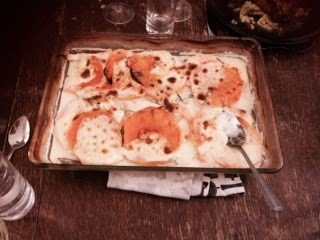 Serve the dauphinoise separately, trust me a normal sized portion may not be enough for each person. 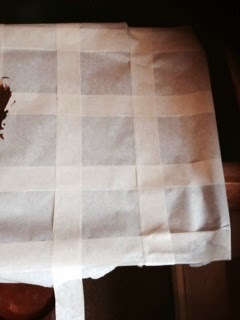 Meanwhile make a grid on a parchment lined tray with the masking tape. 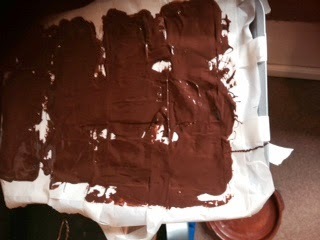 Melt the chocolate and spread over the grid, leave at room temperature to set, when still soft but not liquid, peel off the masking tape carefully, you should be left with perfect chocolate squares, place in the fridge to set. To serve, place a chocolate square on the plate, release the parfait and place on top, finish with a second chocolate square. Use the piping bag to pipe dots of jam around this (again I couldn’t do this) and scatter with cookie crumbs. For finishing touches to the perfect evening, add wine and good company. This summer I went on yet another choir tour (well choir tour is a relative term, it was more a cookery holiday with the odd bit of singing). I don’t think you can ask for much more than the gorgeous weather of the south of France, great company and a massive kitchen completely at my disposal. Luckily the choir was one to a part so they were quite lenient when I would spend most rehearsals leaving mid song saying ‘just got to check on the cookies’. (I think the fact they got to eat the cookie dough may have helped a little bit) All in all it was a rather good set up, the four singers (plus 2 extra tag alongs) and our hosts, all welcome recipients of my experimentations (even if they often turned out not necessarily as planned). Plus a huge herb garden, which I’m sure any chef will tell you is one of the ultimate luxuries, to be able to go out and pick anything you feel like adding to the dish. On top of all this we were able to give a little back with a small number of concerts we managed to fit in around the swimming, eating and cooking. Another big fail of the week was the last night beef. We had a concert so I was determined that I would slow cook the beef in red wine, however I had failed to take into account that the cut we had bought had very little fat on it so the beef came out of the oven old and tough, luckily the amount of herbs I had shoved in the pot meant it tasted good even if the texture was wrong – note to self fat=tender. Another not so much fail, but definite disaster moment was the fish. There were eleven of us eating so I had bought 3 large fillets of some unidentifiable white fish which after flouring and seasoning, I fried using a large flat pan on the stove. Unfortunately not only did the kitchen fill with smoke which made my turning down of a cigarette earlier in the evening seem pointless, but also I almost set myself on fire several times. 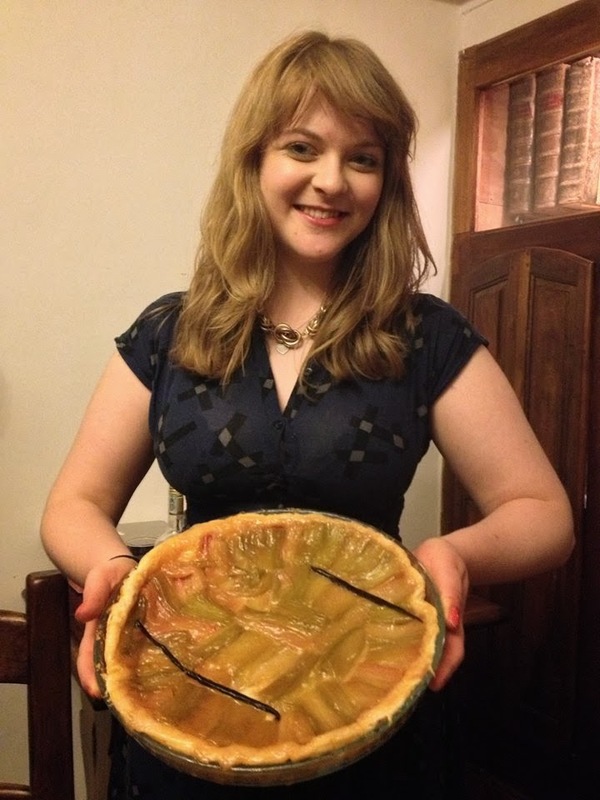 Is it bad that my first thought at this point was not ‘I almost died’ but ‘what will they do without an alto’…..
Two of the more exciting desserts were the rhubarb tarte tatin and the peach clafoutis. 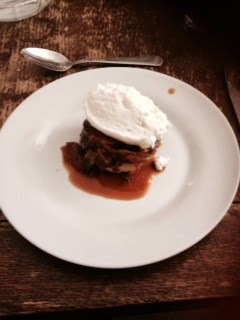 The tarte tatin was simple. I made a caramel using about 3tbsp sugar and a knob of butter, 1tbsp of honey, a split vanilla pod, large sprinkling of salt and some cinnamon and ginger. Then I placed raw rhubarb into the pan before covering the whole thing with a sheet of puff pastry. I cooked for about 15-25mins or until the top was brown at 140oC, then I let it cool. 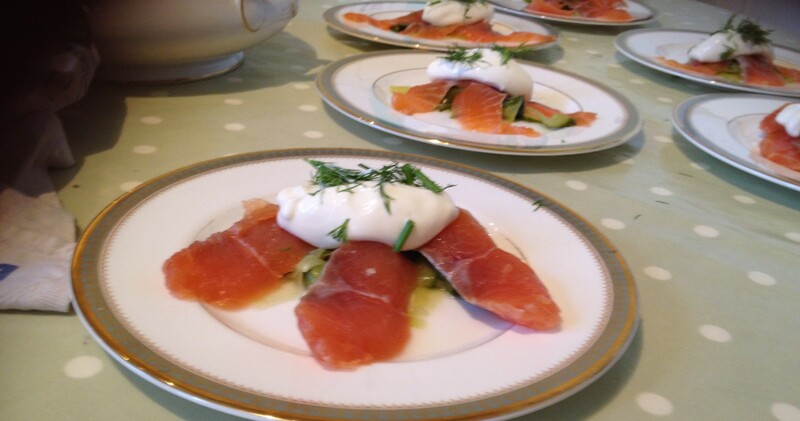 I served this with an orange and basil infused custard. Once you’ve made custard you realise how surprisingly easy it is. You can add any flavour by infusing it in the cream that you heat up (here orange peel, vanilla seeds and basil), then you need lots of egg yolks, sugar whisked up and the key when you combine these two mixtures is just to heat it over a very low heat and don’t stop stirring. It will feel like it takes forever and you will want to leave it, but don’t. If you need to go to the loo, turn it off, if you need to check on a cake, turn it off, but whatever you do don’t leave it unattended. The peach clafoutis was a new dessert I’d always seen but never made, it’s a sort of giant, thick baked pancake. The key here is not to undercook it, add vanilla extract and lots of sugar on top to brulee the top. To make the pancake mix, you heat 125ml cream, 125ml milk in a pan with vanilla extract/ any flavours you would like in it (here I added a little bay leaf). Beat 4 eggs and 170g sugar together, then fold in 3 tbsp flour. Add the cooled milk/cream mix and whisk together. Halve peaches and place facing up in a dish (they add a lovely sourness within the sweet batter). Pour over the batter and dot butter over the top. Cook for 20mins at 180oC, take out of the oven and sprinkle over sugar, put in the oven for a further 10mins till the top has browned slightly. The custard I served with this was grand marnier flavour. For this I added grand marnier at the final stage, when I was slowly cooking the final product so that all the alcohol didn’t evaporate. Unfortunately at 9 in the morning when I decided to make this some of the alcohol did come off, I don’t advise starting the day steaming grand marnier, especially if you then have wine with lunch….. We also found with this custard that the grand marnier appeared to strengthen with age, when we had the leftovers the next day for lunch it was a lot more alcoholic than it had seemed the night before…. By the end of the night, we were usually singing loudly (it was a good thing we could all actually sing) a wide variety of pieces. We managed to go from Rule Britannia in four part harmony, to a memorable rendition of you’re the one that I want from Grease complete with dancing, to Bruckner motets. We did ask some of the locals on the final night if our singing had disturbed at 1 in the morning, luckily the immediate neighbours assured us that they had enjoyed it and it was an advertisement for our concert rather than a deterrent. Luckily plying them with red onion and goats cheese tart was another factor in appeasing the neighbours. If anything can make a kitchen smell amazing, it is slow cooking caramelised onions. All you have to do is finely slice red onions and put in a pan with garlic, rosemary, thyme, salt, pepper, vinegar, butter and sugar and cook over a low heat, stirring occasionally till you get a lovely concoction of sweet smelling, sticky onions. 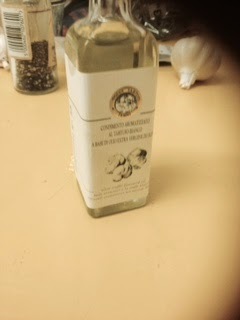 Use this to top a sheet of puff pastry and add slices of goats cheese and you have heaven on earth. The French get a lot right. In fact other things the French clearly got right as seen from this holiday choir tour.